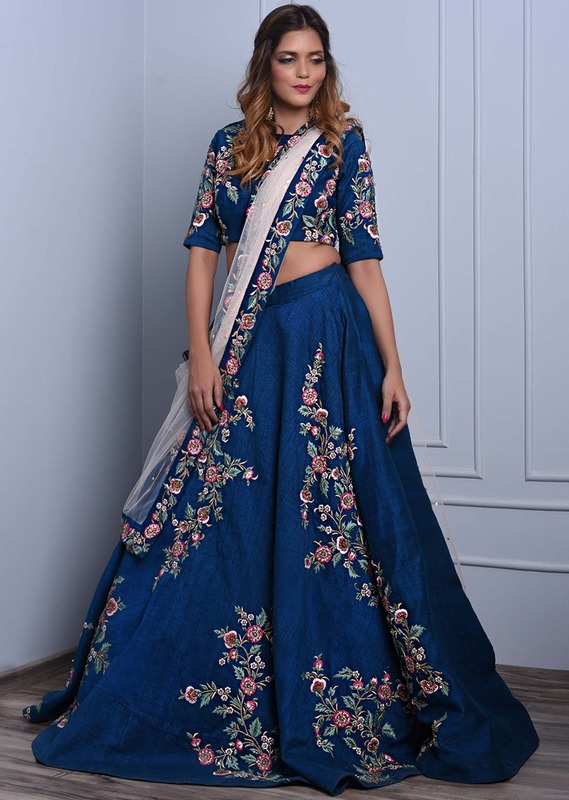 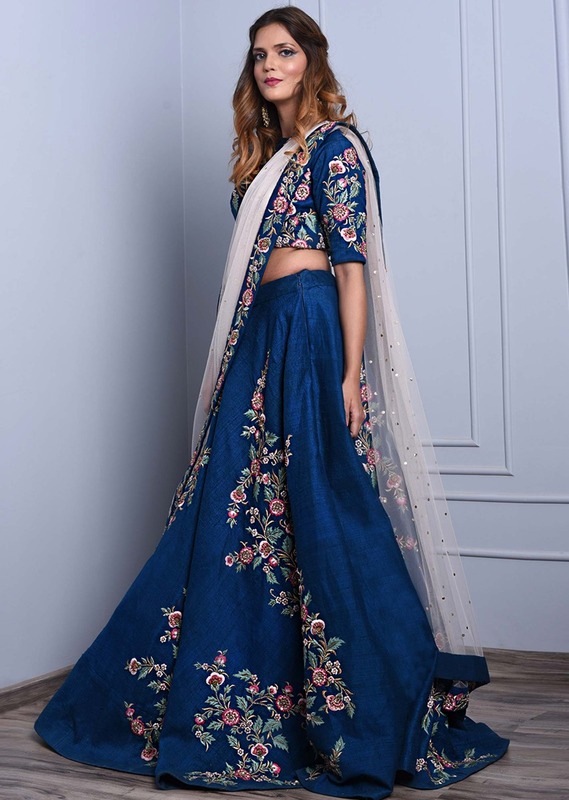 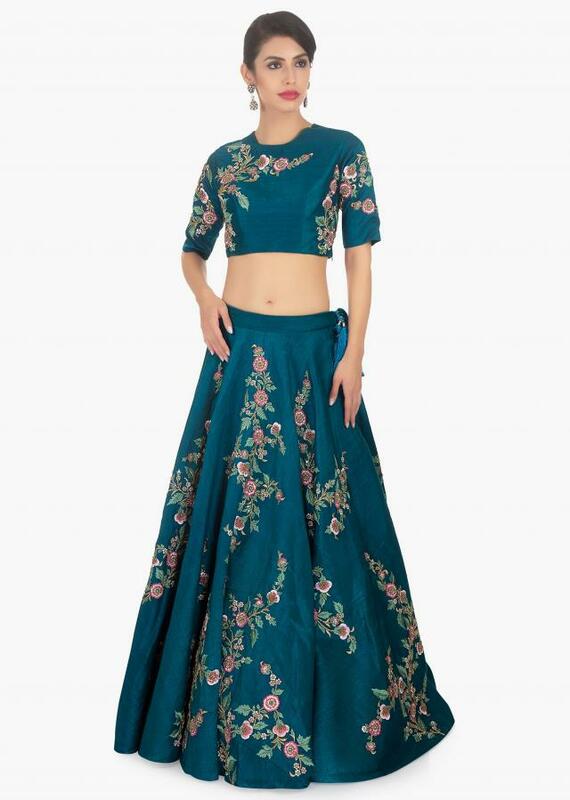 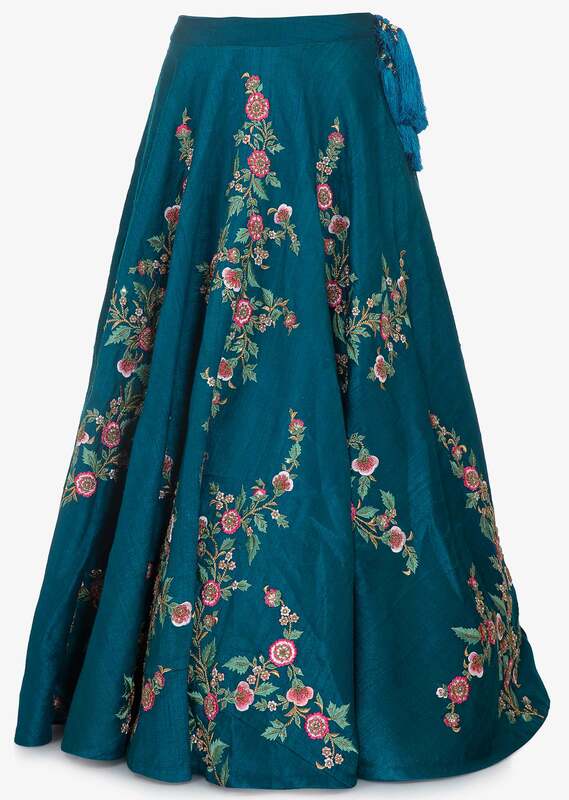 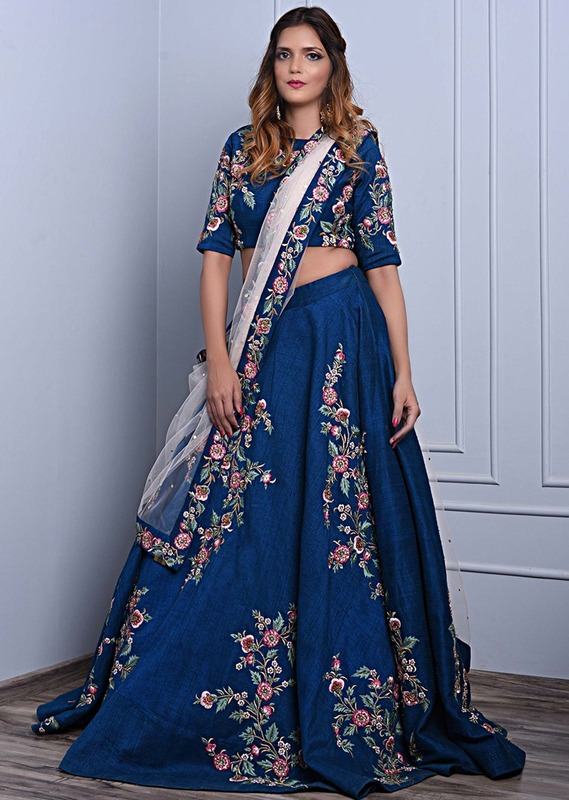 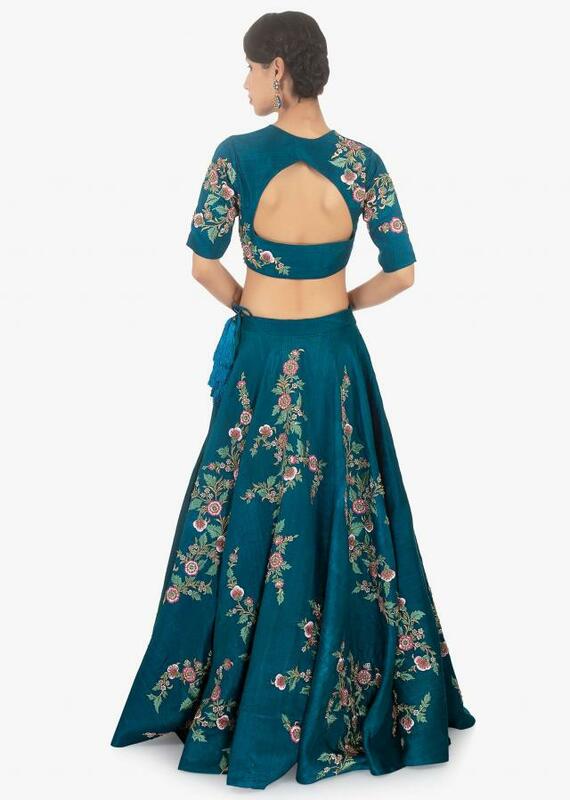 Admiral blue raw silk lehenga. 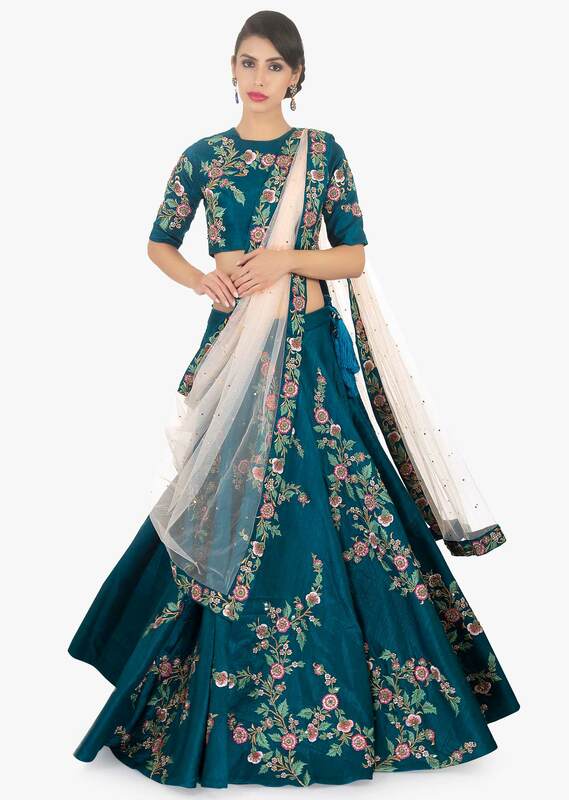 Embellished in colorful resham floral motif along with zari,zardosi,moti cut dana and sequins. 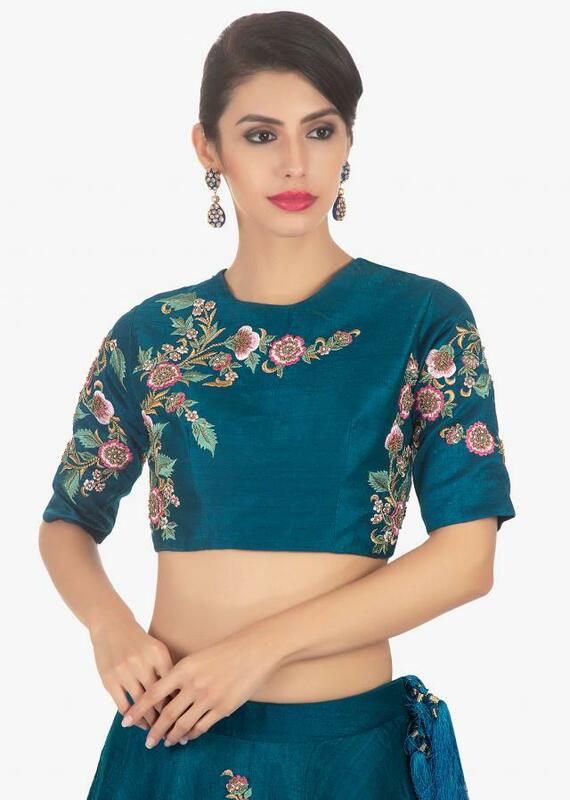 Paired with a matching raw silk blouse in resham floral embroidery with cut out at the back. 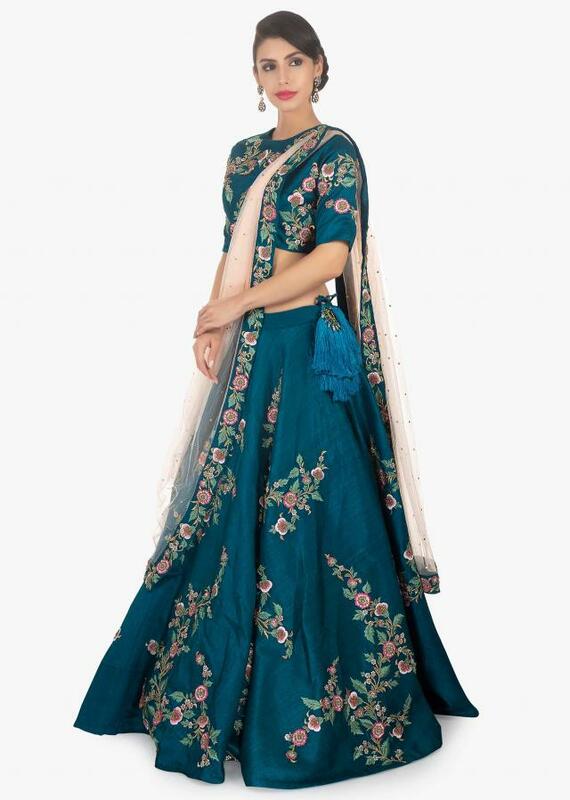 It Comes with a salt pink net dupatta with abla work scattered all over with borders enhanced in floral resham embroidery.